KGF was just a dry barren land with vast empty spaces, when the John Taylor Company established the mines in the year 1880. The barrenness of the land soon irked the British as they were homesick for their English Countryside. They thus began planting a number of trees randomly all over the place such as the Tabebuias, Gulmohar, Jacaranda, Silver oak, Lantana Bushes, etc. Water for nurturing these trees was pumped from underground and the trees thus planted by the British in those early days survived for more than a century. Many local varieties of trees such as the Neem, Peepal, Tamarind, Jack, Banyan or Bhodi Trees, Silver oak, Teak etc, were also planted and soon became quite common and grew in the gardens of the houses and bungalows. 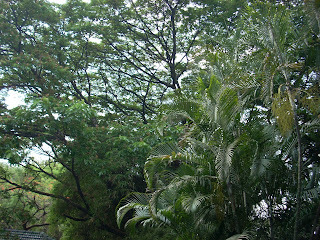 It was not uncommon for each house and bungalow to have a minimum of 6 or 7 trees growing in their gardens. Due of the abundance of trees in those days, KGF was quite a cool place and even at the height of summer, one didn’t feel the heat. Fans, Air Coolers and Air Conditioners weren’t invented then. Almost every house had a garden and there were flowers blooming all the year round. Asters, Roses, Cannas, Lilies, bougainvillea, Daisies, pansies etc bloomed all the year round and the blue bells and hydrangeas in the hedges made the whole place a mass of colour. hedges. The cawing of crows, the chirping of the sparrows, the sounds of the mynahs and the cry of the Koel and the Cuckoo bird were music to our ears in the morning. Wild parrots, bulbuls, mynahs, crows, sparrows, wild pigeons, blue Jays, and squirrels built their nests and fed off the guavas, mangoes and papayas in our garden. It was such joy to watch these birds sunning themselves and trying to attract their mates by fluffing out their feathers and strutting around. My mum would always leave some grains in the passage near the kitchen and these wild birds would often come and feed on the grains. She also left a plate of milk and bread or some rice mixed with curry for the crows to feed on with the belief that all the dear departed family members were feasting on it!! Every year, at the onset of summer, the entire skyline of KGF would be a mass of golden yellow and pretty pink flowers, with the flowering of the Tabebuia trees in the gardens of all the big Bungalows and on the road sides. The Tabebuia which is actually a native of tropical South America were brought into KGF along with the Lantana Bushes and planted randomly all over the place. The Tabebuia are the harbingers of Spring and bloom every year in the months of March and April. The Yellow flowering variety of Tabebuia is known by its botanical name of Tabebuia Argentea, The pink variety which look like blobs of Cotton Candy on the trees is Tabebuia Rosea. The bell-shaped flowers covered the crown of the trees and lasted for a month to 45 days when they began to drop off and were replaced by new leaves. The fallen flowers formed a pretty pink and yellow carpet around the trees. 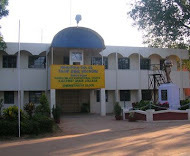 Our school, (St Joseph’s Convent) garden was quite huge and there were many large trees in it. I remember the huge sprawling Rain Trees in St Joseph’s Convent Compound. They made shady canopies with their huge leafy branches. We would sit under the spreading branches and have our lunch or study for our tests and exams. The fresh green leaves would normally start sprouting at the end of February and by the end of March the trees would be covered with feathery delicate Pink Powder Puffs. There were also huge Gulmohar or May Flower trees all over KGF. The Gulmohar trees were huge, almost 30 to 40 feet in height with large branches spread wide to form an awning. These trees were prized for their ornamental value and for their shade. They usually flowered towards the end of April or beginning of May, soon after the first spells of rains in April. There was a popular saying in KGF that ‘April Showers bring May Flowers’. The riot of red flowers all over the place was a sight to behold. The bright red flowers had their own distinct smell. The delicate leaves comprising of small individual leaflets supported the clusters of red flowers so as to protect them during the day and they folded up during the evenings. The sepals and ovules after pollination formed long green pods which slowly matured. The ripe pods would split open into woody, boat-shaped forms. We’d collect these wooden pods and pretend they were boats and sail them in the water channels and drums in our garden. The African Tulip Trees, also known as the Flame of the Forest was another beautiful variety of trees found in KGF. However, as children we didn’t know that its Botanical name was Spathodea. To us it was known as the “Piss Coy Tree”. The orange and scarlet blossoms of this tree are a sight to behold. The bright flowers with four brown anther stamens in the centre always grow and point upwards to the sky like tulips hence the name. The flower buds of this particular tree formed a ball-shaped cluster. Each brown banana-shaped bud is filled with water, forming a natural water pistol when squeezed. It was an entertaining past time for us children to pick these water filled buds or ‘Piss Coys’ and burst them between our fingers or stamp on them, just to see the water come out of them like streams of Urine! Hence the name ‘Piss Coys’! These trees with their thick green foliage were ideal avenue trees in KGF and most of the roads were lined with them. They bloomed twice a year and the flowers attracted several species of humming birds, butterflies and bees for their nectar besides other birds who built their nests in them. The Cork Flower trees / Cork Oak Trees were found in abundance in KGF. These trees were really tall and huge. The Cork flowers usually bloomed only during the Monsoon season. They smelled liked lilies and every morning the flowers would form a white carpet under the trees. We loved collecting these flowers. We’d cut away the long stems and string them into garlands with a needle and thread. The stalks that were broken away made makeshift whistles and it was great fun blowing through them. 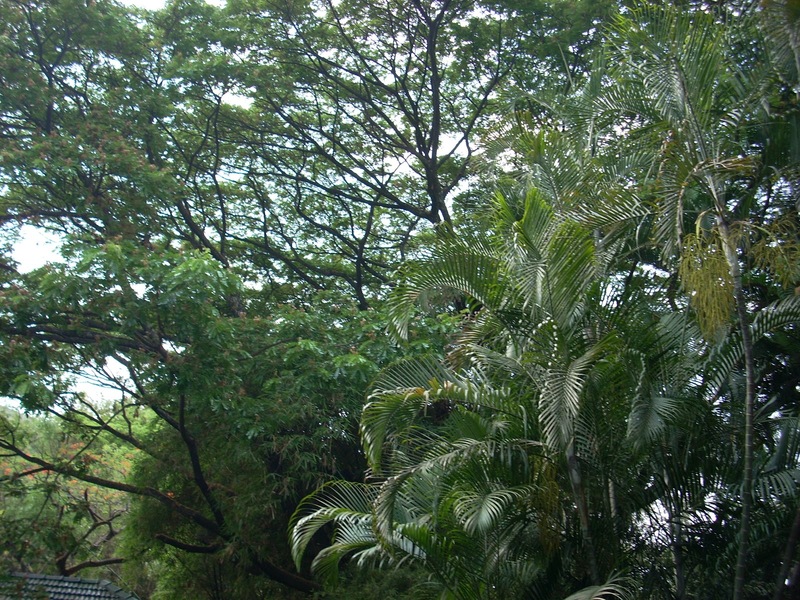 The ‘Top Coy’ tree, also known as the Umbrella tree with its beautiful canopy of branches grew in abundance in both KGF School and St Joseph’s Convent. The flowers were bright yellow and resembled Tulips. The fruit of this tree are in the shape of a ‘Spinning Top,’ and we would collect these small tops and spin them with our fingers. The fruits or ‘coys’ also had medicinal value and they were used as an ointment or medicine when anyone had ringworm or any other skin problem. They were cut in half and the juice rubbed on the effected area. The Jamblum trees in many gardens in KGF always attracted hordes of birds who feasted on the rich purple fruit. Some times the birds would get intoxicated after eating the fruit that had fermented on the tree. The Lantana Bushes were initially planted as ornamental hedges for the bungalows and houses as they were small rugged evergreen shrubs. The flowers were small and brightly coloured and grew in small clusters, which attracted hordes of butterflies and Humming birds. They bloomed from the onset of spring till the beginning of winter. It was quite an invasive plant and soon spread quite uncontrollably all over KGF becoming quite an obnoxious weed. However, even though it became an obnoxious weed it still had its uses. The bushes that were cut were used as cheap firewood by the poorer people, and the ripe berries and leaves were used in the preparation of herbal medicines and ointments. Another harbinger of Spring was the Jacaranda Mimosifolia or simply the Blue Jacaranda. The trees bloomed at the end of February and they were a sight to behold with their bunches of delicate papery thin, purplish blue flowers. These flowers also lasted for about a month then dropped off forming a blue carpet below the trees. As children, we loved collecting these flowers and making garlands with them. The smell of these fresh flowers pervaded the whole of KGF. There were many other trees in KGF too numerous to list out. 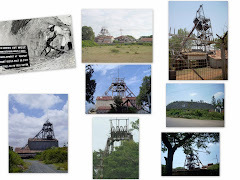 However, just like the rest of KGF which slowly went into decline once the Mines were taken over by the Government, the green cover also got depleted. The huge trees slowly died after almost a century of giving shade and protection, and being home to numerous species of birds. Many of them were chopped down as firewood by the miners. However, the fond memories that we have of these huge giants that afforded us shade and made the landscape so beautiful will always remain with us. V interesting article. 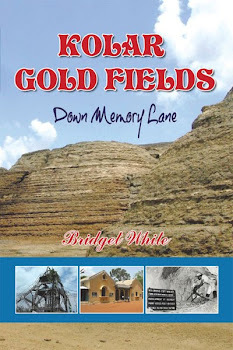 My father was born in the KGF, living and working in the Oorgaum Mine until he came to Englang in '47 with my grandfather who died before I was born - neither were ever able return to India. However, in their garden, my father planted the seed of a tree which is currently 45 feet tall, with a stout trunk and small white flowers on the branches (November). Does anyone have an idea what this tree could be. I would v grateful if you advise me.